I haven't done one of these for a while as I've been a bit busy and I haven't really been reading anything new. 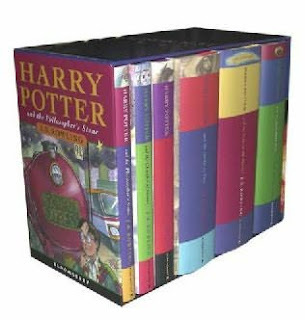 By that, I mean, that I just got my Harry Potter boxed-set back from my sister and needed a Harry Potter fix, so I started reading Book Four (Goblet of Fire) and then read Book Six (Half-Blood Prince) and am now half-way through Book Seven (Deathly Hallows). No matter how many times I read them I always find something new that I missed the first million times. They just don't get old. Last Tuesday I did some Christmas shopping and ended up buying more for myself than anyone else. 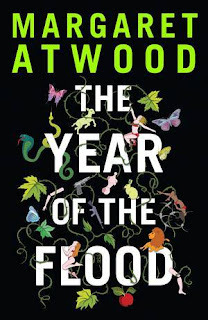 I picked up a couple of books, one being Margaret Atwood's newest, The Year of the Flood. 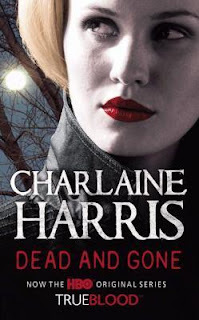 I also picked up the 9th book in the Sookie Stackhouse series, Dead and Gone. haven't decided which book I'm going to read first yet, as I still have the latest Sue Grafton and Women's Murder Club books to read as well! And to top it all off, a publisher friend of my Boss's gave him a stack of books to sell cheap for him to raise money for their staff Christmas party. We're talking c-format's for $4, a & b-formats for $3 and a few kids books and colouring-in books for $2. How good is that! I spent $50 and got what would amount to about $500 retail. They are all older books but I got a few that i had only borrowed but really wanted to own so that was a plus. So that's what I've Been Reading Lately and what I Plan to Read Soon. What about you? What's your list look like? Anything you're busting to read? Margaret Atwood is my favourite - I can't wait to hear what you say. Sci-fi isn't usually my "thing" but I love her writing. AND HP - can't go wrong there really!